It's that time of year again – tax season is nearly upon us. With a little preparation and updated info, you can make sure your dealership is ready to take full advantage of tax season shoppers and increase your bottom line. It's no secret that tax time is a good time for car dealers. Many shoppers across the nation look at a tax refund as a way to help them get that car, truck, or van they need. According to a recent GOBankingRates survey, nine percent of respondents said they plan on spending their tax refund on a major purchase such as a vehicle. Though nine percent may not seem like a lot, remember that we're talking about nine percent of tax-paying Americans – that's around 12 million people. You can get in on those refund-driven sales by ensuring your staff has the tools and training necessary to take full advantage of what tax season shoppers have to offer. Use Tax-Season Specific Strategies – You can offer a great deal to consumers any time you want, but why not take advantage of the influx of customers at tax time by focusing on refund-specific sales incentives? These can help the promotions you're offering seem more attractive because customers are aware these deals are only available this time of year. Stock Up – Make sure your inventory meets the needs of your target market, and be sure your sales staff knows who to look for during tax time. For the 2019 tax season, surveys have shown that women between the ages of 25 and 44 are most likely to spend their tax refunds on a large purchase like a car. Encourage Alternative Spending – Even though new sales is the ultimate goal, not everyone is ready to use their refund check on that kind of splurge. This doesn't mean they still won’t spend their money at your dealership. Look for unique ways to encourage additional business, such as steering customers toward your service department, or enhancing their vehicle with aftermarket items sold through your store. 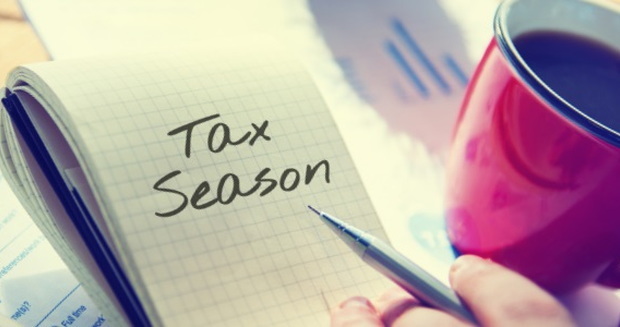 No matter which tricks you have up your sleeve to drive sales during tax season, remember that the increased tax season traffic that starts in February typically lasts until June. Even though today's consumers are careful and research-driven, tax time usually leads to an upswing in showroom traffic. Be sure your sales staff is trained and ready to use this to their advantage. Even though tax time leads to a natural increase in showroom traffic, it pays to have consumers coming through your door that are ready to buy. At Auto Credit Express, we can help with that. We've been a top-producing lead generator for over 20 years and can provide your dealership with the subprime, new, and used car leads it needs. Let us prove to you why we won the Platinum Award for Special Finance Leads in Auto Dealer Today's 2018 Dealer's Choice Awards by providing you with quality auto sales leads. But our services don't stop there. Our BDC call center specializes in preparing consumers to become buyers from the minute they enter your door. Utilize these services and more by calling us today at 888-535-2277. Or, simply fill out our online contact form and we'll get in touch with you. ?Warmer Weather, Tax Refunds really do Help Car Sales?